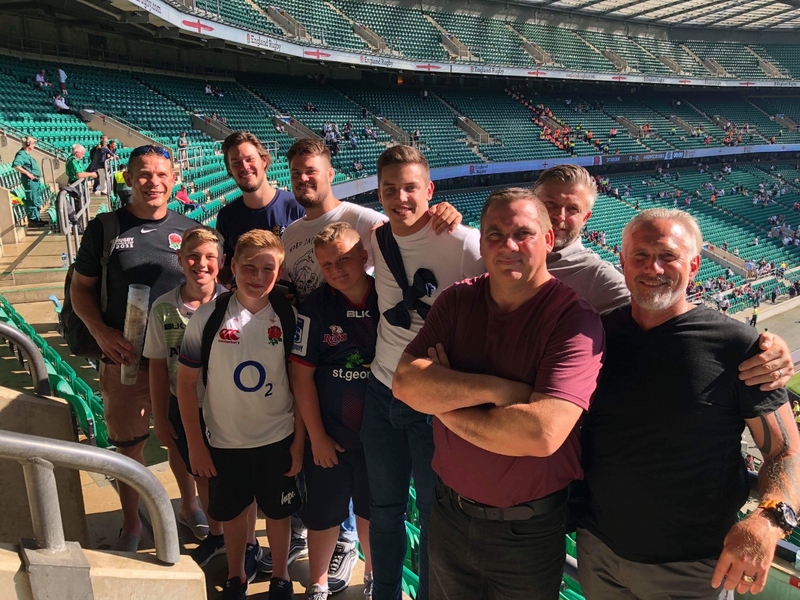 As part of the RFU’s commitment to grow the game during the transition from age grade rugby to the adult game, the RFU offered each county 100 free tickets for the England V Barbarians Quilter Cup match at Twickenham. The exclusive offer was created to allow counties to utilise the tickets as a reward and an incentive to keep players aged 18-24 within our game. Director of rugby at Thanet Wanderers Cary Wright secured 10 tickets based on the club’s efforts to retain players in that age band but due to the short notice was unable to allocate the tickets solely to our under 18 players so it was decided to allocate them to players of the Past, Present and Future. There are no prizes for guessing which category those in the picture fall into! Writing to thank the England and Kent RFUs on behalf of those who attended and had a great day out, Cary noted that we work very hard to bring our young players through to the senior set-up and pointed out that nine of last season’s U17s and 18s players have featured in this season’s First XV indicating that the club is on the right track. Last season’s Head Coach, Tom Carlier, has decided to take up a development role dealing with the youth to senior transition at the club whilst building awareness of the sport with local schools which should prove very beneficial for the club.